The Guidance Center (Western Arkansas Counseling & Guidance Center) is a non-profit community behavioral healthcare provider serving the communities of Crawford, Franklin, Logan, Polk, Sebastian and Scott counties in western Arkansas. The Guidance Center is governed by a Board of Directors. Board members are comprised of volunteer representatives from the Guidance Center’s six county service area. We are also a member of the Mental Health Council of Arkansas (MHCA) which is a non-profit organization representing each of the 12 participating community mental health centers and two specialty centers. The MHCA is dedicated to improving the overall health and well-being of all Arkansans and communities throughout the state. MHCA members provide comprehensive services specially designed to meet the individual behavioral healthcare needs of Arkansas’ citizens. The Guidance Center opened its doors in April of 1972 with the goal to provide quality behavioral healthcare services for men, women, adolescents and children suffering from mental, emotional and substance use disorders. To that end, we have continued to offer treatment programs and services for the recovery from all types of mental illnesses. Treat with dignity and respect the individuals we serve and enhance their quality of life. 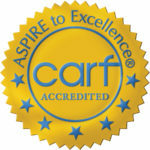 Western Arkansas Counseling and Guidance Center is accredited by CARF, the Commission on Accreditation for Rehabilitation Facilities. 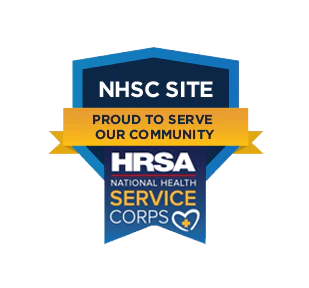 Its mission is to promote the quality, value, and optimal outcomes of services through a consultative accreditation process and continuous improvement services that center on enhancing the lives of persons served. This clinic serves all patients regardless of ability to pay. Discounts for essential services are offered depending upon family size and income. You may apply for a discount with our billing department. For a listing of our current openings feel free to visit our job postings at indeed.com. Candidates may also submit a resume via email to jobs@wacgc.org.